"Cottage Cheese and a Weird Buzz" -- Christy and Jill clash over a gambling debt and Bonnie's new hobby troubles Adam, on MOM, Thursday, date (9:01-9:30 PM, ET/PT) on the CBS Television Network. 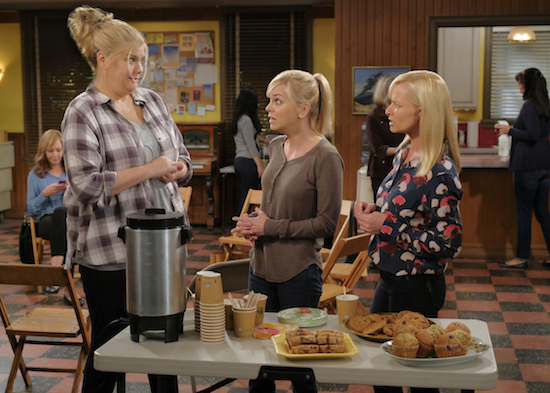 Pictured L to R: Kristen Johnston as Tammy, Anna Faris as Christy and jaime Pressly as Jill. Photo: Darren Michaels/Warner Bros. Entertainment Inc. ÃÂ© 2018 WBEI. All rights reserved.